News Corp-owned The VCCircle Network has appointed Nita Kapoor as the CEO. 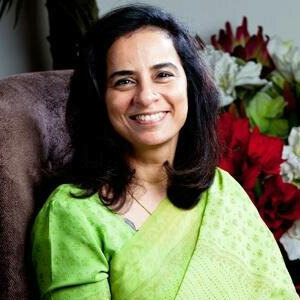 She will also oversee Bigdecisions.com as head of News Corp's new ventures in India. Nita has significant management and strategic execution experience over a three-decade-long career that began at ad agency Mudra Communications in 1985. She spent 16 years at Mudra working on a portfolio of brands that included Rasna, Vimal, Nestle, FritoLay, Dabur and McDonalds, and rose to become the head of the firm's flagship Delhi operations. From 2002, Nita has been with Godfrey Phillips India, most recently as chief operating officer. She guided all business functions and also directly oversaw some 500 sales staff, as well as the company’s CSR initiative around women’s empowerment, Amodini, and the Godfrey Phillips Bravery awards. Nita is actively involved in industry bodies such as the Federation of Indian Chambers of Commerce and Industry, and is a member of the Indian Angel Network. She is a Life Member of the G100 Network NY, a private group of chief executives of the world’s largest and most significant companies. A commerce graduate, Nita completed executive management programmes at the Indian Institute of Management, Ahmedabad, and in the Harvard Business School at Harvard University. The VCCircle Network comprises news websites VCCircle.com and Techcircle.in, data platform VCCEdge, an executive education division and a conference division. News Corp acquired The VCCircle Network’s parent, Mosaic Media Ventures Pvt Ltd, in March 2015 and personal finance website BigDecisions.com in December 2014. News Corp also owns a significant stake in PropTiger.com, an online residential real estate platform.